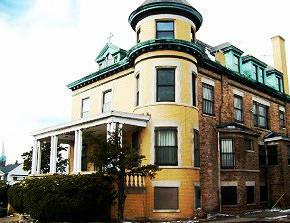 The Circle is a Community Resource Center for women of the Brighton Park neighborhood. Our mission is to accompany women on their journey by offering a welcoming and nurturing space with opportunities that support, encourage, and empower. We provide a safe place for women to come, be themselves, take a break from the stresses and strains of everyday life. We are a community dedicated to providing women with opportunities to learn and make their lives better in a variety of ways. The Circle offers services that contribute to growth and development in a holistic way: body, mind and spirit. The center offers women a number of resources such as psychotherapy in English and in Spanish as well as programming developed by the women of our community. We build on their strengths and empower women to fulfill their potential with programming developed and directed by the women of the community, allowing them to address their most pressing needs together. Our community helps women face the challenges in their lives through respect, faith in their strength, their courage, their personal sacrifices and their dreams. By offering support, resources and a space where they become aware of the wisdom that comes from their own life experiences, we help them to recognize and value their own inner strength.